16th April 2009. Save 10-15% off New Camping Gear in the ExplorOz Shop, Permits Section Now Updated, Sell it Fast in our classifieds, and a New Trek - Dares Hill Tourist Drive. After 9 years of business, the ExplorOz Shop, that has traditionally been an online map and bookshop, has now expanded to become an online camping store! To mark the launch of our new range of outdoor gear we are offering a limited time sale of 10-15% off the regular prices (prices as marked). We are thrilled to be one of the very few online stores that offers a unique range of quality, reputable brands such as Sea to Summit, Black Diamond, SteriPEN, Nalgene, and Shotz with loads of innovative, practical gear for all outdoor users such as water purification, kitchen, laundry, and toiletries, storage and drink canteens, towels, footwear, headlamps, mosquito headnets, and sports nutrition. In building these new categories into our shop, we have also moved ExplorOz shirts, hats, caps, and beanies, into the new clothing and headwear categories but you will still find ExplorOz stickers, stubby holders and promo cards in the merchandise category. The permit situation for travellers is constantly changing and ExplorOz is very conscious of the need to keep our readers informed of the latest information. Just this week, we have reviewed and updated all ourpermit pages for all the states and territories, and even added a new permit page for theACT. 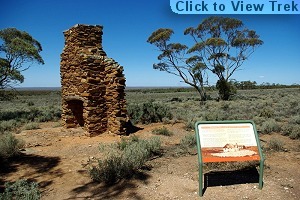 This task has led to further investigation into some of our archived trek notes that covered areas where restrictions are in place such as theCalvert Range (off theCanning Stock Route). We are awaiting the official "confirmed for publication" update in terms of access and management - so stay tuned! Recently, we've noticed a number of highly positive comments left by sellers and buyers who've used the ExplorOz Trader.ExplorOz Trader. Feedback can be posted (or viewed) at the bottom of the Trader page and the latest comments reveal that for many sellers the ExplorOz Trader works extremely fast, and at the fraction of the cost of other similar classifieds/traders. Things to consider when creating a fast selling ad include: use a good title, provide a punchy opening blurb, consider a fair price, provide a number of nice sharp images - using the best for the header image, and provide an adequate description. We look forward to hearing yourTrader success story soon! Kulkyne Kampers in conjunction with Overlander 4WD magazine is offering you the chance to WIN a $20,000 Camper Trailer. All you need to do to win is go to www.kampers.com.au and sign up to their email list and you’ll automatically go into the draw to win! Also, if you spend over $50 buying online from Kulkyne Kampers from the period of 16/3/09 to 15/9/09 you’ll also go into the draw to Win over $13,000 worth of monthly prizes. Don’t miss out! Terms and Conditions are available from their website. This NEW trek note in South Australia is big on features, but short in distance. 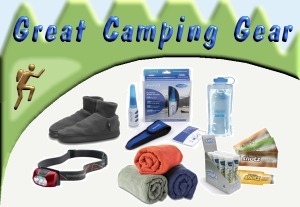 The ExplorOz Shop now offers a good range of camping equipment including these reputable brands. Order Now and receive 10 to 15% off as an introductory special - for one week only! !